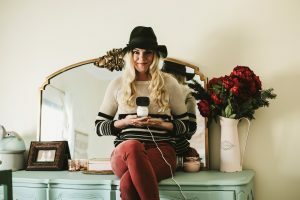 Many of you may not know this yet, but I was one of the first influencers for the Owlet. Even before having a chance to try the product, I was actively following the PR announcements and anticipating its release. I knew it was going to revolutionize the baby industry and make parent’s lives so much easier. When it came out, Rainier was already almost 11 months old. 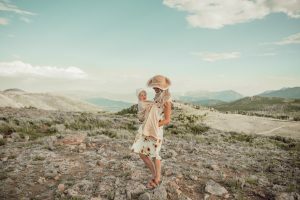 While it’s great to use for the first 1.5 years, I was really sad to have not had the opportunity to use it during those frightening newborn months when I felt the most anxious about Rainier’s well being. The amount of sleep I got those first few months was a fraction of what I am enjoying with Theodore, all thanks to having the Owlet smart sock. With Rainier, I was up ~every 2 hours to feed him (or pump) for the first 9 months. He didn’t start longer stretches of 3-4 hours until about 9 months. I was back to working full time before Rainier was even 3 months old, so I couldn’t sleep during the day to try to catch up. In the little time I had the opportunity to sleep, I usually found myself lying awake in bed worrying if baby was breathing and being scared to death of SIDS. Unfortunately, I was so overly anxious, I could barely get an hour of sleep in between feedings for most of Rainier’s first year. It was HORRIBLE. I was miserable and cranky and just wasn’t myself. I didn’t feel like I could breathe or think straight. I call those first 3 months the first “fog”, and then the second “fog” of mommy life through 6 months… I finally started to feel some sense of normalcy after that. How I managed to not lose my job, husband, or my sanity during those first few months, I don’t know. I count my lucky blessings. It all boiled down to me being overly worried and concerned about Rainier. I just couldn’t shut down. This time around… oh my. What a world of difference! I have felt like myself pretty much from month 1 on. Before then, hormones get in the way and you can’t control that. Yes, there are some sleepless nights. However, for the most part I am able to fall into a deep sleep between feedings and am not as anxious about baby because I can count on the Owlet to chime if something is wrong. Especially as a co-sleeping family, I fear the blankets, or Rainier suffocating baby. The good news is, there have been zero false alarms so far. I am a MUCH happier momma this time around. And THAT is way more important because being mentally healthy and in the moment especially with Rainier is so important as our family adjusts to the transition of two children. 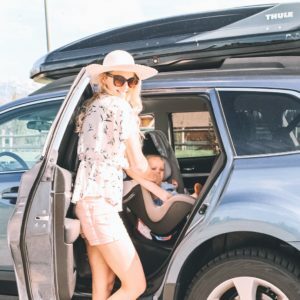 The Owlet is something I have been a big advocate of since 2015. I continue to sing its praises to friends and family, and have been known to gift it to new moms because I believe in it THAT much. It is my GO TO GIFT for baby showers. It is more than worth the cost. Most importantly, while I can’t say it will save the life of your child, it can very well alert you to a problem before it becomes an emergency.